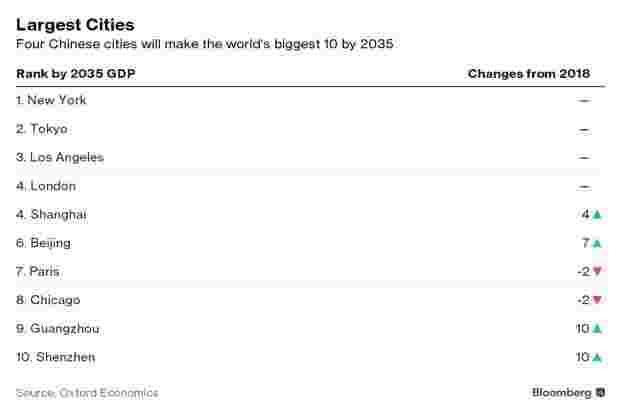 Frankfurt: When it comes to the top 10 cities for economic growth, India is set to dominate over the next two decades, according to Oxford Economics. Surat, a diamond processing and trading centre in Gujarat, will see the fastest expansion through 2035, averaging more than 9%, Richard Holt, Oxford’s head of global cities research, wrote in a report. All of the 10 fastest over that period will be in India. 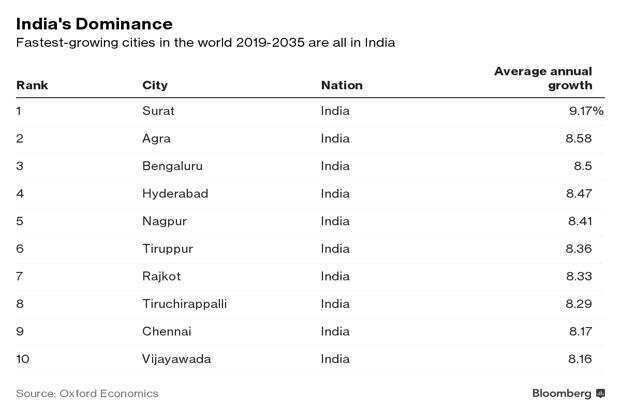 While economic output in many of those Indian cities will remain rather small in comparison to the world’s biggest metropolises, aggregated gross domestic product of all Asian cities will exceed that of all North American and European urban centres combined in 2027. By 2035, it will be 17 percent higher, with the largest contribution coming from Chinese cities. New York, Tokyo, Los Angeles and London will defend their spots as Shanghai and Beijing—each boasting more than 20 million people —surpass Paris and Chicago. Guangzhou and Shenzhen in Southern China will also make the top 10, crowding out Hong Kong. The fastest-growing African city is the Tanzanian port of Dar es Salaam, while the top spot in Europe is held by the Armenian capital of Yerevan, according to the report. San Jose—a proxy for Silicon Valley—will be best performer in North America.